D. Veitch was born in Australia. She studied in Adelaide and Paris at La Chambre Syndicale de la Couture Parisienne. She is an inventor and the owner of a US design patent and has registered designs in Australia, Europe, United States and the European Community. She is an experienced anthropometrist and conducted an Australian National Size and Shape Survey in 2002 that manually measured 1400 women. She is owner of SHARP Dummies Pty Ltd. Her work experience is diverse, including being employed in the Flinders Medical Centre since 2007 as a criterion anthropometrist which includes body scanning. She is a founding member and secretary for the World Engineering Anthropometry Resource (WEAR), Co-Chair of IEA TC Anthropometry (International Ergonomics Association Technical Committee), Co-Chair of CODATA Task Group for Anthropometric Data and Engineering for the International Council for Science : Committee on Data for Science and Technology. She is also an Adjunct Associate Lecturer at the Clinical Skills and Simulation Unit of the School of Medicine at Flinders University. 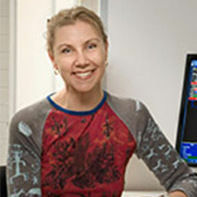 Her academic capacity and work contribution have been acknowledged through the “Ken Provins Award” for the best paper of 2011 presented during the Human Factors and Ergonomics Society of Australia Inc (HFESA) annual conference in 2011 and also “Outstanding Abstract” from the International Society for Simulation in Healthcare (SSH) in 2010. Earlier in her career, she was also the Winner of Australian Wool Corporation Young Designer Award and Queen Elizabeth 11 Silver Jubilee Award for Young Australians. She strives, among other things, to assist herself and others to broaden their network and knowledge through her work in not-for-profit professional affiliations. She is currently enrolled in a PhD in the specialist area of Medisign. Her broad title is, development of bio-fidelic (life-like) manikins to train people such as medical professionals to learn Clinical Breast Examination to facilitate early detection of breast cancer. The PhD will be earned by publication in peer-reviewed journals. Associate Member, Human Factors Ergonomics Society of Australia (HFESA). Founding member and Executive Committee Member of the Anthropometric Resource Australia Special Interest Group (ARASIG) (a Special Interest Group of the Human Factors and Ergonomics Society of Australia). Founding member and Co-Chair of the International Ergonomics Association Technical Committee, (IEA TC) on Anthropometry. American Standards and Testing Materials (ASTM) member of D-13 (sizing standards). Member of the Standards Australia Working Committee for Women’s Sizing. Design – what measurements to use? D Veitch, V Blewett and D Caple (2009), “Sizing up Australia – How contemporary is the anthropometric data Australian designers use?" Teaching models to train staff on clinical breast examination.